Are you interested in getting more information or a quote for the AerWay C-Flex? Please fill out the form below and one of our Territory Managers will be in touch shortly. 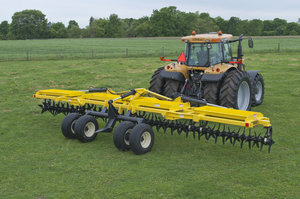 Frame Configuration – Available in 10 to 40-ft. widths. 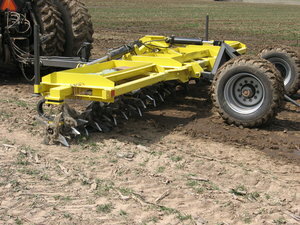 Single roller system with four tines per row. Standard 7 ½” tine spacing. Rolling Baskets – Available with either 3-Bar Coil Tines with 14” Single Roller.